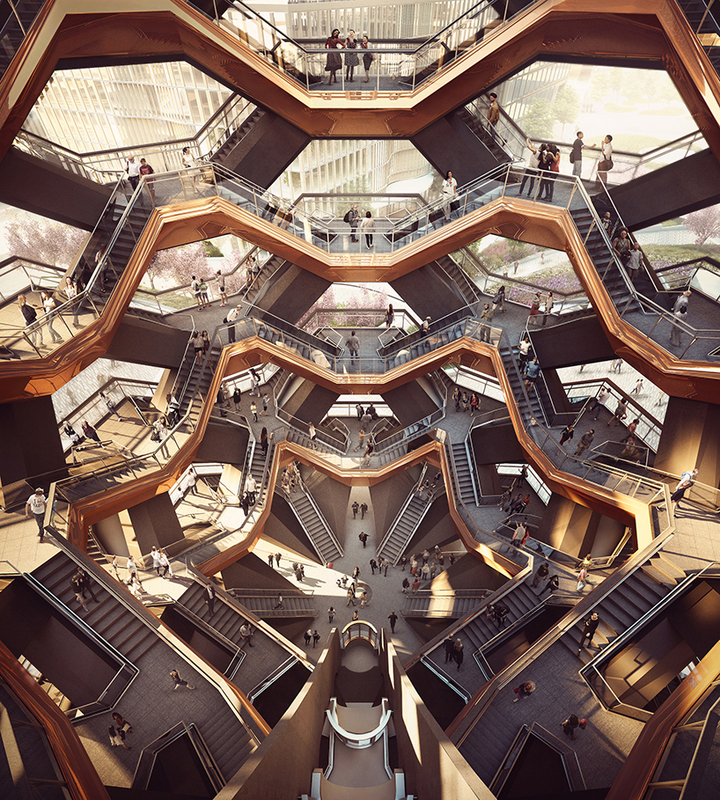 2,500 steps within 154 intersected, rising flights of stairs unite to form Thomas Heatherwick’s vision for “Vessel,” an immersive monument to be constructed at NYC’s new Hudson Yards facility. There are 80 unique landing points, offering vistas of the city and the surrounding perennial public garden and plaza. 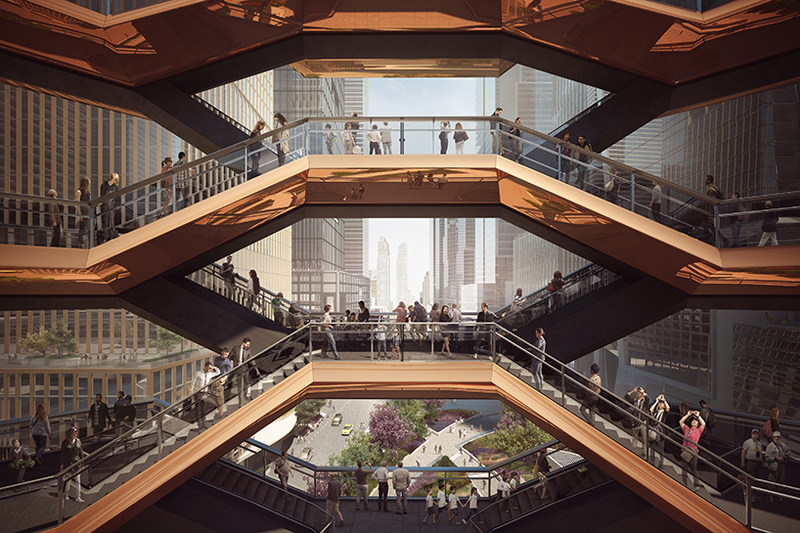 The painted steel frame expands as one goes up, lending a striking half-oval shape, open to the sky. 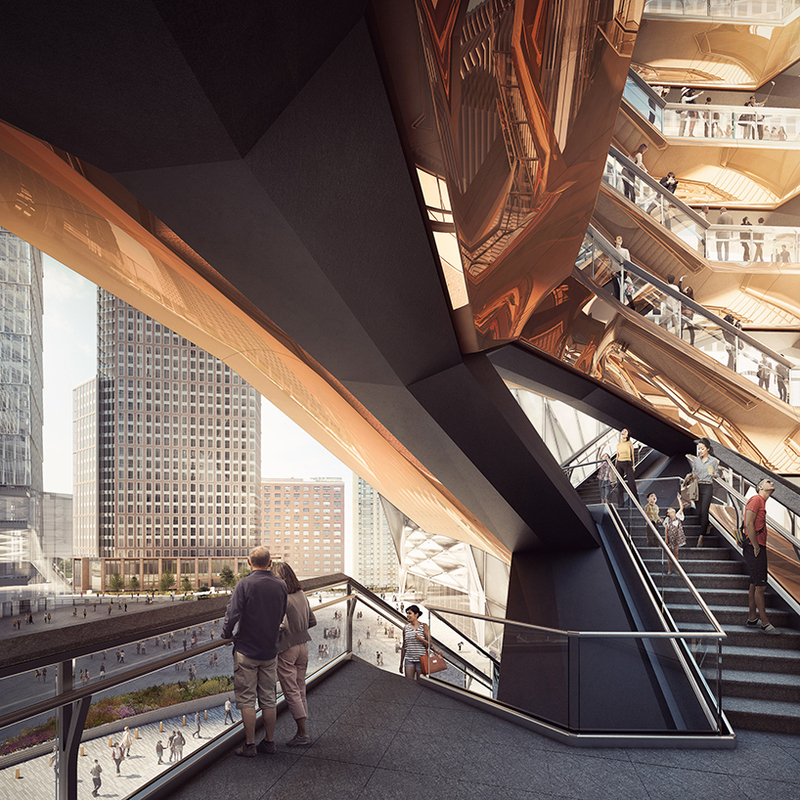 Heatherwick took time to explain the inspiration and execution of the project with Design Boom, where you can read the full interview.